You continue to pump out fantastic work Jim. Jac yes I could tell this wasn't his "first rodeo" as we say here in the States. The 206 is a better looking car than the P4, they should have beefed up and put all the cool slats on the 206 to make the "P4" spec instead. One line that sort of 'challenged' the P4 IMO was the way the rear of the front fender top collapses towards the wheel opening centerline when viewed from the side. Compare that view with the 206 to appreciate the difference. Yours will be a good looking ride Jim. I've been away from here for a while and I see that you are working your magic again. 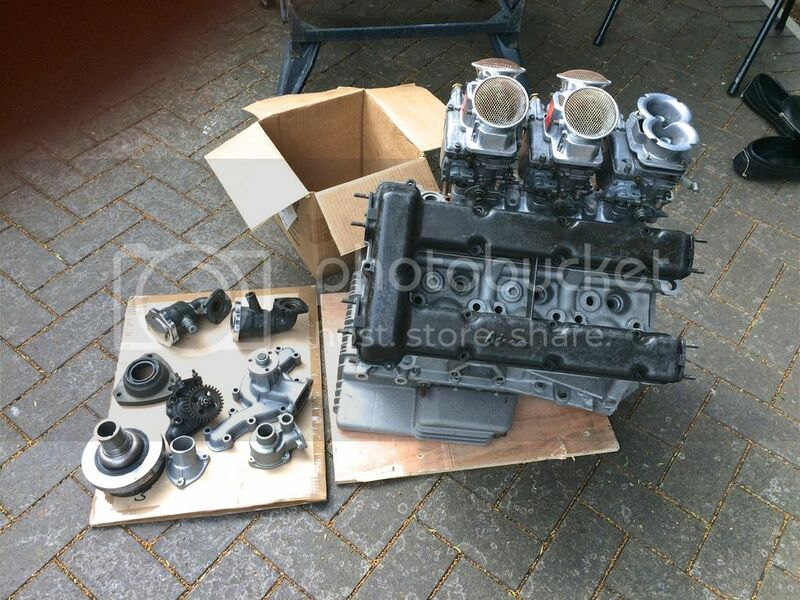 I've always fancied a 206SP project but alas no time nor space with the 40 now. I made a start on one many years ago and still have my engine boxed up in the shed but I pulled it out today after reading this excellent thread. Who knows, when I retire ? Looking forward to your body shell episode. Jimmy years ago we were bantering back and forth and you said you had a 206 engine. To be honest I thought you were pulling my chain but not so. They are sort after as they are getting rare, as expected. You will get good money for it. Jim do you ever sleep? I work alot and don't require much sleep! But wow do you have 48hr days every day of the week over there? You are the machine! Rod I sleep like a log, but I have a built in clock that wakes me at 4-5am so I use it to my advantage. I can get 2-3 hours done every morning when I am on a project, that's how I smash though it. I have an alarm that goes off at 2-3am every morning too but that's to get up and actually go to work for 14hrs a day so that's why mine has taken 8yrs and counting. I need a life style change so I handed my notice last week. As always Jim, love your work. I here you Leon you just get to a point it aint worth it. Been a Mechanic for 40 years and my own business for 32 and I am done. Part mental part body is packing in. A change can save you I recon. No, life changing year, getting a divorce after 33 years. So moneys been going to other people and I don't feel in the wright frame of mind to be building cars. I will get back to it next year sometime after the dust settles. Sorry mate let me know if I can help! Good luck Jim. I'm sure you crawled all over this thing at PI earlier this year. Best looking car in the paddock (other than the GT40s)! Sorry to hear that Jim, best of luck to you. I hope your intrest in cars rekindles sooner rather than later. Thanks guys, Troy I was in the same race as that car. I was in the same marque but on the back side. The plans I have where used to build that car. I did speak to the owner but I walked away as he was lets say mmmm no I wont say it. Doing fine,working hard building an apartment for the last 4 months. Yes I still make pedal sets from time to time.